Attorney General Bill Schuette, a leading Republican candidate for governor, says Michigan taxpayers have paid billions more in income taxes because of a Granholm-era rate hike, continued by Gov. Snyder. Attorney General Bill Schuette has made the burden taxes impose on ordinary Michiganders a central issue in his campaign for governor. On Jan. 23, the day Gov. Rick Snyder — a fellow Republican — delivered his final State of the State address, Schuette released what he called the “State of the Michigan Taxpayer.” It’s a four-point bulletin that highlights what he says are extra costs associated with Democratic Gov. Jennifer Granholm’s decision to raise Michigan’s income tax in 2007, and Snyder’s signing of legislation in 2011 that taxes some pension income. We find Schuette’s tax numbers are mostly accurate, even as his supporting rhetoric is deeply misleading about the tax burden faced by Michigan residents. “Did you know that Michigan taxpayers have paid about $8 billion extra since the Granholm income tax increase?” Schuette wrote in a campaign email the afternoon of Snyder’s final State of the State. “It was supposed to be temporary but now she's gone, and you are still paying. In 2007, then-Gov. Granholm and lawmakers were at a budget impasse, at odds over how to close a nearly $2 billion deficit. As a result, Michigan welcomed its new fiscal year Oct. 1, 2007, by briefly shutting down state government, until legislators passed an increase to Michigan’s personal income tax. The tax rate at the time was 3.9 percent; the plan Granholm signed took it to 4.35 percent, though it was supposed to roll back to 3.9 percent within a period of years. That never happened. Instead, Snyder — who enacted a series of tax changes after taking office in 2011, including eliminating many tax credits and overhauling the state’s business tax — lowered the tax rate from 4.35 percent to 4.25 percent and froze it there. It remains at that level today. Schuette’s claim that Michigan taxpayers have paid $8 billion more in total income taxes since the tax rate was increased in 2007 is roughly true. The nonpartisan Senate Fiscal Agency, in an analysis of the income tax hike, estimated the increase in the income tax rate would bring in nearly $745 million in new revenue in 2008 and $827 million in 2009. Expanded over a decade, an annual revenue increase of roughly $800 million would bring the total close to $8 billion. Truth Squad calculated how much less taxpayers would have had to pay had the tax rate stayed at 3.9 percent, which amounted to about $7.9 billion. At the same time, it’s worth noting that even with the Granholm-era increase, Michigan’s income tax rate remains “lower than the rate levied during most of the history of the (state’s) individual income tax, including the 25 years between 1975 and 2000,” according to a 2015 report by the nonpartisan Senate Fiscal Agency. The agency noted the median average rate spanning more than four decades was 4.4 percent. Which brings us to Schuette’s pension tax claim. The 2011 Snyder tax changes that replaced Michigan’s business tax with a flat corporate income tax also included some personal income tax changes, including that some retirement income would no longer be tax-exempt. Snyder’s reforms mean that Michigan now relies more heavily on taxes from its people, rather than businesses. Schuette campaign spokeswoman Bridget Bush pointed to a 2014 Detroit Free Press report as the source of the claim that state taxpayers are paying $900 million more each year as a result of a tax on some pension income and other tax changes. The pension tax accounts for about $200 million of the $900 million in additional annual tax revenue cited (22 percent), Treasury data show. Most of the rest comes from the ending or scaling back other credits and deductions: special exemptions for age and unemployment compensation ($50 million); elimination of a child deduction ($50 million); a decrease in a tax credit for homeowners ($270 million); a decrease in the Earned Income Tax Credit ($240 million), and ending other nonrefundable tax credits ($90 million). While the broad numbers are correct, Schuette’s portrayal of the tax burden faced by Michigan families lacks some critical context. As Bridge Magazine has noted, Michigan is ranked near the bottom when it comes to total taxes paid. Michigan ranked 34th nationally in 2013 for its personal income tax burden, both per capita and as a percentage of personal income, according to the nonpartisan Citizens Research Council of Michigan. Collections that year totaled $866 per capita — 81 percent of the U.S. average — and $22 for every $1,000 of personal income, about 92 percent of the average nationally, the organization noted. In addition, Michigan taxpayers effectively pay less taxes than our current tax rate implies. In 2015, as the personal income tax rate stayed at 4.25 percent, the overall effective tax rate was just 2.39 percent, according to Treasury data. That’s after deductions and other exemptions are taken. In fact, residents’ effective tax rate declined throughout the 2000s until 2008, the first year after the Granholm-era income tax increase, and rose again in 2012 after Snyder’s tax changes, according to Treasury. Still, the effective tax rate for the most recent year available, 2015 (2.39 percent), remains below the rate in 2007 (1.99 percent) or even 2001 (2.59 percent). On auto insurance: Michigan’s auto insurance rates are among the highest in the nation, if not the highest, in part because of its unlimited lifetime medical benefits unique to the state’s no-fault law. On household income: Schuette’s claim that Michigan’s household income lags the nation is confirmed. Our median household income of $52,492 is $5,125 below the national median of $57,617, according to American Community Survey estimates from 2016. Schuette’s tax rhetoric is a fine example of how data can be technically accurate, yet misleading. The $8 billion and $900 million figures he cites are accurate, but he resorts to hyperbole on the tax burden shouldered by Michigan residents. The state’s tax reforms in 2011 shifted the tax burden from businesses to individuals, in part by ending many deductions and exemptions, including on some retirement income. That has led to substantive debate on whether business now pays its fair share of taxes. But even with the Snyder-era changes, Michigan taxpayers effectively pay less than 4.25 percent of their income in taxes, and 30-plus states have higher individual tax burdens than Michigan. Michigan has not recovered all jobs lost during the 2000s, and household income continues to lag the nation. Many Michiganders continue to feel left behind in the state’s economic recovery. Those are real impacts that can’t be overstated. But the bigger picture suggests Michigan taxpayers, on average, are not as overburdened as Schuette portrays. Troubling too is Schuette’s claim that the pension tax, “among other things, (cost) Michigan taxpayers another $900 million a year.” As Truth Squad shows, those “other things” comprise nearly 80 percent of the rising taxes cited by Schuette. That is misleading on the impact of the pension bill. Schuette’s “State of the Michigan Taxpayer” falls short in another important respect. He fails to say how the state’s strained budget would make up lost revenue from a major income tax cut — especially as residents clamor for government to fix roads, repair worn infrastructure and improve struggling schools. Related: Michigan needs $4B more per year for infrastructure, but how to pay for it? Context: Be wary of tax claims that rely on big numbers without also revealing what those numbers mean to individual taxpayers. Accountability: When candidates call for tax cuts — or, alternatively, major spending programs such as, say, free college tuition (we’re looking at you, Dems!) — demand that they also disclose how those promises will be paid for. Michigan is far from the most over burdened with taxes and fees state. This plan of constant cutting hasn't work. If we look at states where taxes are particularly low they are NOT drawing the high paying jobs. Which making money would seem more important to a person's dreams then saving it. How about something new for Michigan, strategically spending what we have to get the biggest bang for our buck, i.e. develop the urban core that attracts these high paying jobs. Working TOGETHER we can keep taxes RELATIVELY low and get the most for our money. Spreading ourselves thin does not work; what money we do have must be concentrated in areas where it will do the most good. Things like rural freeways need tolls and fiefdom universities need to be combined into systems - things other state do regardless of political leans to strategically mast their budgets. Or we can keep doing what we've been doing until we're down to 2 senators and 1 congressman. We need a governor who isn't afraid to tell all Michiganders they have to be responsible citizens. It would be nice if the new governor was able to inspire (Lansing politician's) to work together to solve our states current challenges. Taxes will have to be raised. Where are they going to come up with 3 to 4 Billion more each year. Making some of the states highway system Toll operated is a good start but it will not cover the entire cost. We are not even talking about bridges that need repair. You may consider any large University a fiefdom but for me I think this states colleges do well on their own except for sexual assault, sexual harassment etc. etc. If there is anyone who believes that the government isn't receiving enough of their income, I have not found anything preventing them from just writing a check to the government to assuage their conscience. Anyone who thinks that there is no downside to governments relying upon taxing everything under the sun to pay for making some people happy, I would direct their attention to the states of Illinois & California as to what will happen when they get bloated and complacent. And whom do you think they will be looking to turn for a handout when they cannot pay their bills? "Governors can enact significant change without the help of the legislature. But they can’t change laws by themselves. Thanedar’s spokesman rightly clarified the candidate’s statement by saying the campaign knows a governor needs the legislature to ban for-profit charters in Michigan. " Mr. Thanedar’s spokesman shouldn't need to "clarify" anything. This is yet another example of Mr. Thanedar being unfamiliar with what the job he is running for actually entails. If The Bridge wants to give candidates like him a free pass, then that is its prerogative. But just a friendly warning, your Truth Squad might not have the credibility you're shooting for the longer you continue. Interesting how my comments on Thanedar ended up getting posted on a story about Schuette. 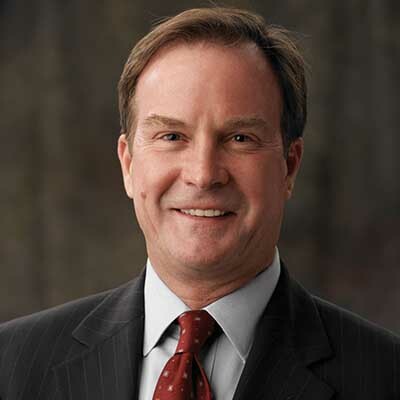 The ad that Schuette is currently running which blames Granholm for tax increases fails to mention that during Granholm's administration (2003-2011) Michigan LOST 49% of its motor vehicle manufacturing employment and 25% of its motor vehicle manufacturing establishments. Geez...do ya think maybe that had some drastic impact on State revenues??? I would like to know a simple straightforward answer yes or no, what is your position with repealing the retirement tax Mr Schuette? I don't consider it hyperbole when in the story it states that the tax burden has been shifted to citizens from businesses. I call that real. Add to that our jobs were in the auto industry ( they're in MX now ) lost our home & cars in the recession and had to declare bankruptcy. Add to that tax on pensions & we're barely surviving. The article alludes to this, but worth noting that Michigan's income tax rate was 4.4% until 2000. Gov. Engler enacted legislation to reduce the rate to 3.9% over several years. However, the rate started going down right as Michigan went into recession and the state could never really afford the rate cut. The tax cut was financed in part by raising other taxes (cigarette for example), in part by draining substantial GF, rainy day, and school aid fund fund balances, and partly through smoke and mirrors. The state's budget continued to deteriorate and finally the state set the rate back to 4.35% in 2007. Stating this as a massive tax increase sort of misses the point that it was undoing what was probably an irresponsible tax cut that started in 2000.